I cannot wait for the trick-or-treating festivities to start tonight! Conor & I put the final touches on Liam's dinosaur costume last night, and I am ecstatic about how it turned out! Follow me on Instagram to see my little Liamasaurus in all his dino cuteness! Here's my (sometimes) weekly five... As always, thanks to all the lovely hosts: Christina, Darci, April, & Natasha! 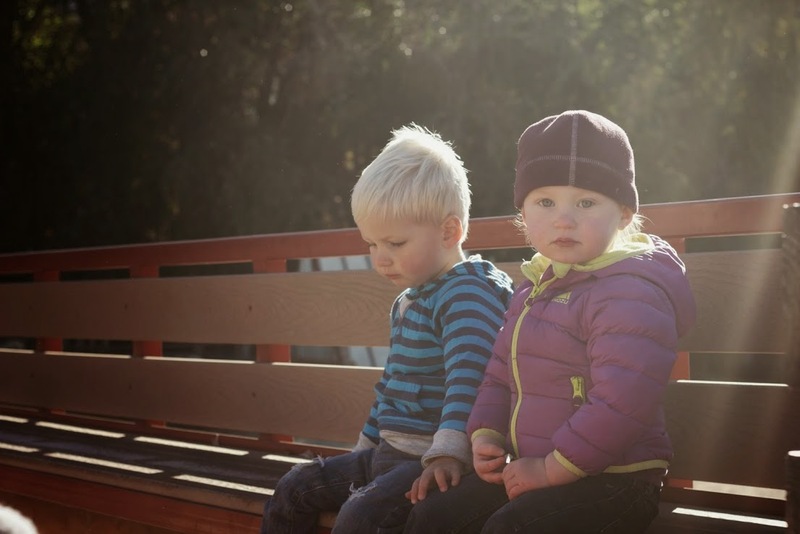 My friend Celka captured this photo of Liam and his most favorite gal pal Malin on a tractor ride the other day. Malin is stunningly beautiful, and I cannot get over Liam's small hand resting on her leg. It completely shows his gentle & tender personality! I love these two together! I've had my eye on a pair of Bean Boots for awhile, but I have a nice of pair of Northface snow boots that do me just fine. Well then I read Stephanie's post this week, and I'm now I'm just pining after them! 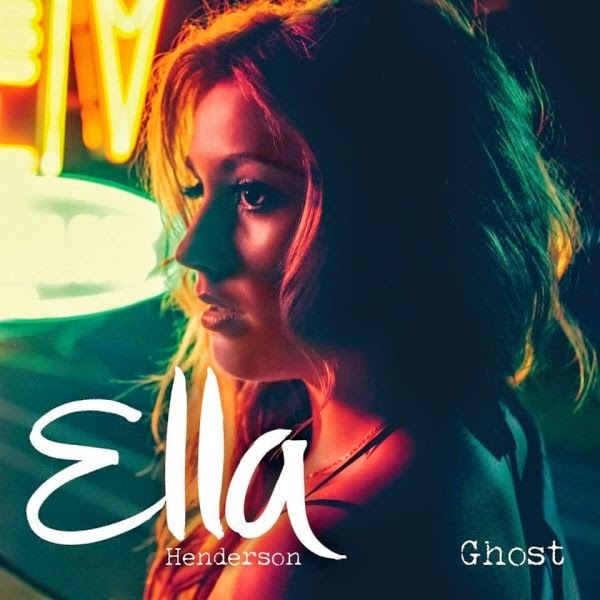 Ghost by Ella Henderson is my new jam! Please tell me you've all heard it?! When it comes on one of my Pandora workout stations while I'm running, I crank up the speed! While Utah is treating us well, my heart is definitely still in Washington. 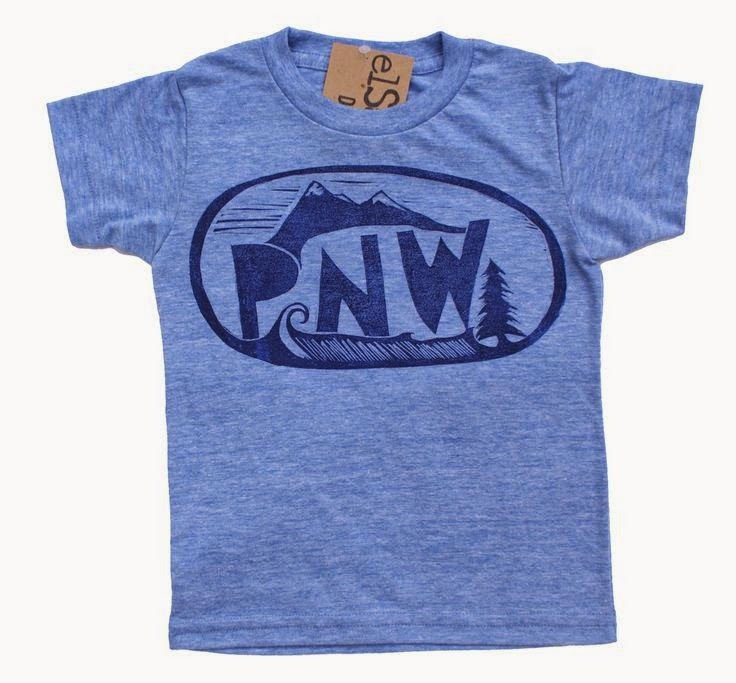 This shirt is an adorable reminder of home, and may just be sneaking its way into Liam's stocking this December... I will probably start shopping this weekend! Here's a little Flashback Friday for you... my little owl just one short year ago! TGIF friends; try not to eat all your kid's candy tonight! My how the times changes and these little ones just keep growing. I love experiencing all these stages! Love love love that picture of Liam and his gal pal. Such a beautiful picture. You're right, it tells a story of personality too. Love it! I haven't heard that song yet, but I'm with ya I love a good upbeat song while I'm running. Turn it up! That is truly the sweetest photo of two adorable friends! I love it! They are so sweet together! Bean Boots are the best thing since sliced bread. I would recommend going all out and getting the gortex/thinsulate ones if you live in an area with lots of snow/rain. 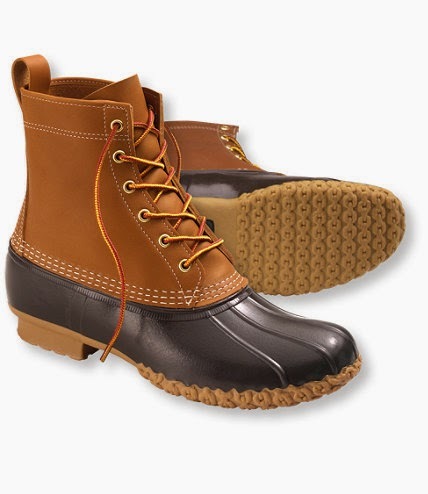 Not to mention llbean has the best return policy known to mankind! Ooh now I am really convinced that I need a pair! Liam really is a sweet little boy! That picture of them on the tractor is so cute! Have fun trick or treating! I'm very excited to see your dino!!! And, I'm glad you pointed out his hand in the top pic. I didn't notice it at first, but what a beautiful shot and so so sweet. I have no heard the song, but I'm going to go find it just to hear! That picture of Liam is precious! So is that owl costume, so sweet! Happy Halloween! I need some REAL boots this year, too! I was thinking about Sorel's but now I'm going to have to look into the Beans. Can't wait to see Liam's costume tonight, Happy Halloween!! Stunning photo of the little ones!